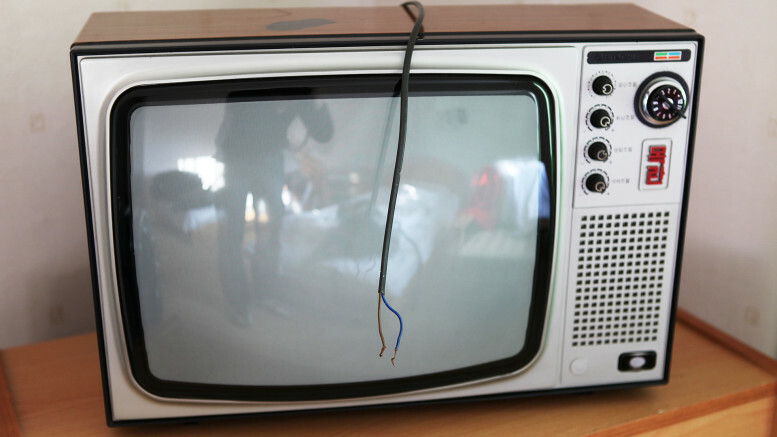 The Daily NK has a story today about what might be the expansion of cable TV in North Korea. The story says North Korean authorities have begun charging for access to Mansudae Television (만수대텔레비죤) outside of Pyongyang. Mansudae TV launched in December 1973 as North Korea’s third TV station and is on the air on weekend evenings. Its long-time schedule has been a 3-hour program from 7pm on Saturday and from 10am and 6-hours from 4pm on Sunday. In 2015, the channel was reported closed down but later reported back on air in 2016 via cable TV. The Daily NK report also mentions a Friday evening broadcast. The TV station is one of a handful available in Pyongyang but not to the entire country. Most viewers only receive Korean Central TV, a nationwide broadcast that carries the main news, important cultural and political events and news and lots and lots of propaganda. An typical day includes one or more documentaries about the Kims, a couple of kids shows, an old Korean movie and features on agriculture and new construction projects. It isn’t exactly exciting viewing. So, eager to make some money while satisfying viewer appetite for something a bit more interesting to watch, the authorities are asking people to pay to get access to the channel outside of the capital, reports a Daily NK source. Homes must pay a 650 yuan (about $100) “installation fee” to gain access to the service, says the report. It’s unclear how it’s being delivered or if there is an ongoing monthly subscription fee. North Korea recently launched an IPTV service called “Manbang” (만방) that includes Mansudae TV and three other channels so the installation fee could be a hook-up to that or a traditional cable TV-like service. The country has also been dabbling in digital TV and a reference was made to encryption in a state-produced video, so perhaps it’s an over the air signal. What exactly is happening at the technical level is unclear. Daily NK reports that Mansudae TV is popular because it shows Chinese and East European movies in the evening. The station made headlines in 1991 when it became the first North Korean TV channel to show a Japanese movie. But the news highlights a couple of interesting things. The first is that the state is asking citizens to pay for the service in a foreign currency, which is another sign that its traditional money raising schemes are hurting under sanctions. The second is that there is sufficient demand among the population for a more diverse range of content than is currently on offer. That’s good news for foreign broadcasters and anyone sending information into the country. The report doesn’t mention availability of North Korea’s other TV channels: Ryongnamsan TV and Sports TV. Ryongnamsan TV was launched in 2012 to replace the Education and Cultural TV channel, which had been on the air since 1997. At launch, it showed programming in English, Chinese and Russian but the current broadcast schedule is unclear.